Create any atmosphere you want with our help. Choosing a full-service entertainment company allows you to create your ideal environment with no limitations. At NY Party Works, we can set the atmosphere for the widest range of events – whether it is an elegant occasion such as a wedding, or a fun, casual 80’s-themed party – there are no restrictions to the setting that you choose to create. You will be able to spend the day enjoying your company. 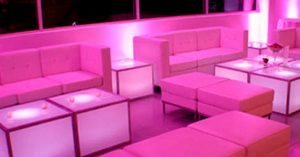 Hiring NY Party Works to plan your party assures that your entire event runs smoothly and without any interruptions. You don’t need to worry about greeting different vendors at scattered points throughout the day because you’re dealing with one company that will handle it all. Our friendly and professional staff will work together to ensure that your party goes as planned, without you having to lift a finger. You can save money and stress. We want your event to be a success as much as you do, and will do everything in our power to make sure that it is. If there’s a service you’re interested in, ask! We can create a custom party package that includes only the services you’re interested in. If you’re unsure, our professional planners can recommend the best attractions and services to suit your party. Trust your event to professionals. Many vendors may pride themselves on offering a particular rental or service, but NY Party Works has experience handling it all! Whether it’s party inflatables, game tables, music, video games, or catering – our professional staff knows how to do it all. With over 30 years experience in the industry, our unbeatable service is unlike anything you’ll find anywhere else. You’ll never have to worry about being understaffed. We have been in the industry for decades, and know just how many experienced crewmembers and coordinators you need to make certain your event goes even better than planned. Deal with ONE Company and NO hassle. The best part of choosing the best entertainment company in New York is that you don’t have to jump through hoops to get in touch with a human being. At NY Party Works, we pride ourselves on having professional and friendly service. We care about our customers and their events. From your first call to last call, we work with you to make sure all of your questions are answered and all of your needs are met. Contact NY Party Works today to start planning your special event; we can’t wait to speak with you!